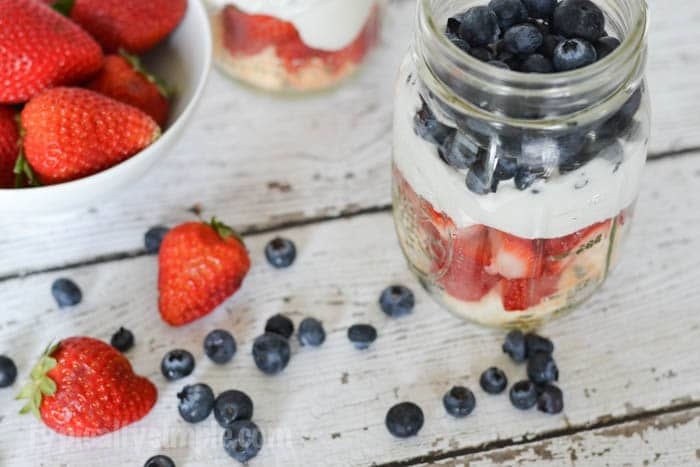 This mason jar dessert recipe is an easy-to-make sweet treat to celebrate 4th of July! Can you believe 4th of July is less than a month away!? It will be here before we know it, so I’m excited to share this blog hop hosted by a HUGE group of bloggers to share all kinds of recipes, crafts, and decor ideas to help celebrate Independence Day. 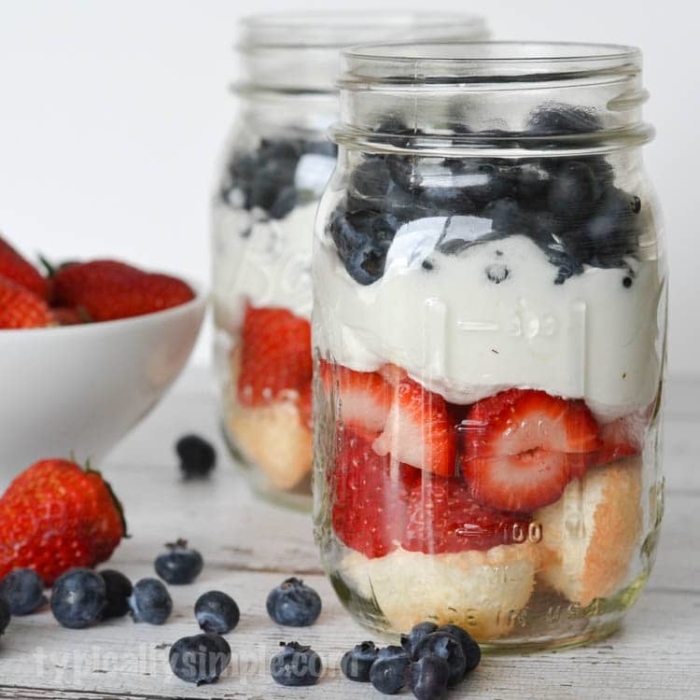 To kick off the party, I have a yummy patriotic dessert recipe to share! With cake, fruit, and whipped cream, it’s super easy to make. And by serving it in a mason jar, you won’t have to worry about serving it up on plates. Using a box mix, I made angel food mini cupcakes, but you could also cut up pound cake or even yellow cake to use as a base. Put a few pieces of cake on the bottom of a mason jar. Add a layer of strawberries, followed by some whipped cream, and then a layer of blueberries. That’s it! Who would have though something so simple would make such a delicious dessert for a 4th of July celebration? If you don’t have a bunch of mason jars handy, you could easily make this in plastic cups which would make party clean-up even easier. Looking for even more 4th of July inspiration? Check out all these other great ideas!